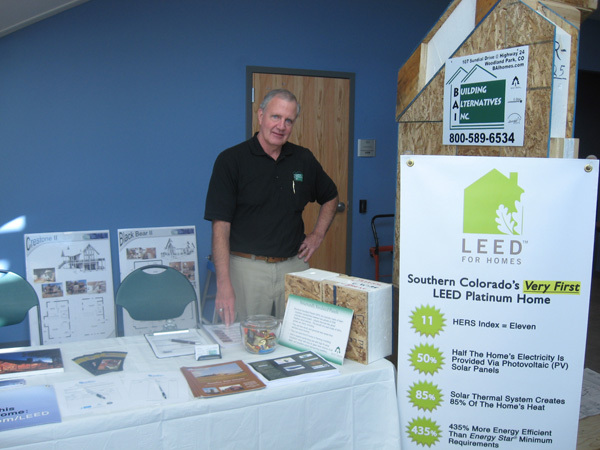 SIP (Structural Insulated Panel) building systems (a specialty building method for energy-efficient homes). We were glad to be a part of this year’s tour, and will be back next year. Thanks to everyone who came, and a special thanks to Cliff Kotnik, Cathy Crawley and the very friendly UCCS staff and SECRES volunteers. You were great to work with! Ken Matthews, our associate with Building Alternatives, Inc. This was our table. 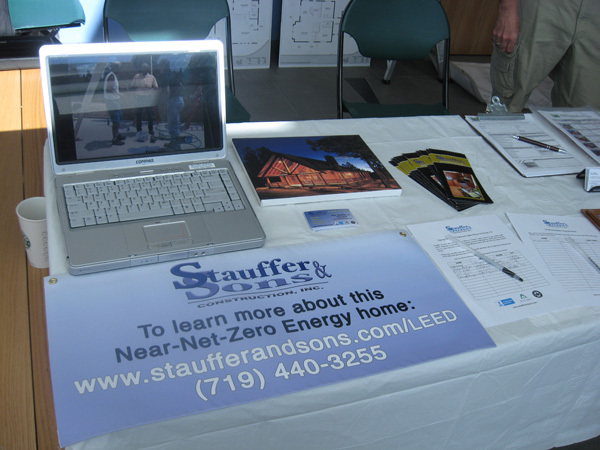 We had our Fox21 News clip on a loop, and had a sign up sheet for our Open House this Fall.